Temporary car insurance – also called short term car insurance – insures for only a short period of time, with a policy lasting anywhere from a single day up to several months. 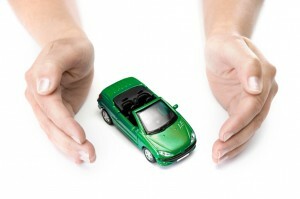 Though it used to be a specialty of just a few companies, many car insurance providers now offer short term insurance. It is often utilised by people who are travelling to other countries and plan to drive there. Driving regulations vary from country to country and traditional insurance policies often do not apply out of the country. This is far from the only use, though. There are actually two categories that fall under the heading of temporary insurance, and these perform in different situations. One type of temporary car insurance provides coverage between one and 28 days, and is paid per day or per week. This is necessary for local car rental, driving in another country, or in a situation where you might be borrowing a friend or family member’s car for a short period of time. Many parents also obtain temporary insurance when their teenager will be driving their car for a while before buying his or her own vehicle. Many car dealerships will not allow a buyer to leave the premises unless they provide proof that they are covered by some form of car insurance. Day by day temporary car insurance is excellent for this purpose because it meets the legal requirements for car insurance cover while not requiring a commitment of months or years. This shorter variety also covers moving vans in the event that you have to transport large appliances from a store or have to move from one house to another. While it is tempting to simply try to be particularly careful and take your chances with forgoing short term insurance, few people actually see an accident coming in time to avoid it. Longer temporary car insurance policies can be extended up to several months and be paid monthly, just as a traditional car insurance policy. More and more people are opting for monthly temporary policies in place of traditional insurance because it provides much of the same cover for lower prices and less commitment. One of its greatest benefits is the absence of cancellation fees in the event that you have to back out of the policy early. Short term car insurance offers cover that is just as good as traditional policies. It may cover physical injury and property damage, protects the driver and passengers from liabilities associated with vehicle accidents, and provide towing if the car breaks down. Most companies offer optional cover for medical expenses and possible court fees in the event that legal problems surface, and some provide the option for comprehensive cover, in case the car is vandalised, stolen, or damaged while parked. The premium for temporary car insurance is typically less expensive than traditional car insurance policies, though most providers require that payment is given in advance of the policy’s activation. As with other policy types, premium rates do depend on such things as the level of cover as well as some other factors. The model of car that is being insured can affect the cost, as can geographical area and the risk that the company assumes of the driver. If the driver has a great deal of traffic violations or past insurance claims, these can make the price go up. While you can obviously inquire about temporary insurance policies with providers in your area, it may also be convenient to investigate them online. 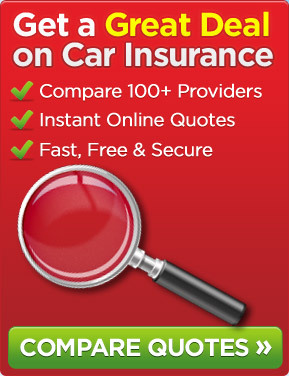 Many car insurance websites now have the facility to provide online quotes.Some sites also provide comparisons between a few chosen companies, allowing you to compare features,benefits and premiums. Though short term car insurance is often less expensive than traditional cover, prices may still vary from company to company. By comparing quotes and cover, you may find the most suitable cover to meet your needs at an affordable premium.